To take care of your water heater repair needs, call Star Cities Plumbing & Heating. We can provide a New York City plumber to fix your water heater 24 hours a day, seven days a week, and 365 days of the year. If you have had a bad experience with dishonest or outrageously expensive plumbers before, put your trust in Star Cities Plumbing & Heating to get the job done right. One of the problems with water heater and plumbing emergencies is that they do not wait for a convenient time to ruin your busy day. Being able to provide you with water heater repair at a moment’s notice is what makes us stand out from the competition. Adding our prompt response time to our honest attitude and affordable prices makes Star Cities Plumbing & Heating your number one choice. Replacing a water heater can be pricey, so it is often in your best interest to repair any issues your current water heater exhibits. However, it is recommended you replace your water heater every 7 to 10 years. 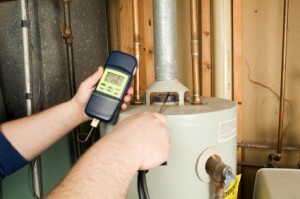 We can inspect your water heater and give you the best advice, and what your options are. We may be able to provide a quick repair, but also advise you to replace your water heater for a more efficient system. To get the help of a reliable and affordable New York City plumber to repair your water heater, give Star Cities Plumbing & Heating a call at -800-547-1422. We can relieve you of a little bit of stress and make your showers toasty warm again.